Congratulations to one of SUNY New Paltz’s brilliant alums, Bri Murphy! Check it out! I want to create a work that speaks both to the romantic fantasies associated with the craft of pottery, as well as to the realities of labor. One of the central motifs of the pottery profession is a romantic view of the communal table. 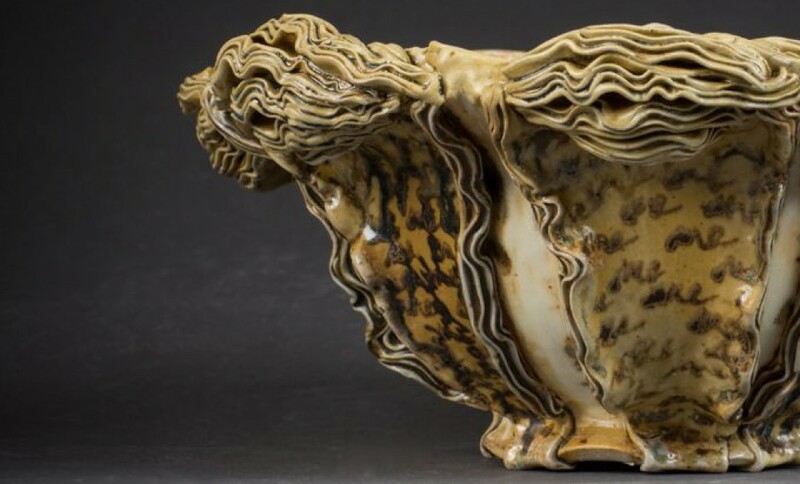 Pottery is, when defined by many contemporary potters’ statements, about sharing, about joyful gatherings with communities, about connections between user and maker. In many ways, these notions are romantic fallacies. Platters in museums do not participate in joyous feasts. Expensive sets are brought out for only the most formal occasions. For the most part, to those who buy these objects, the joyous everyday is not for art pottery. 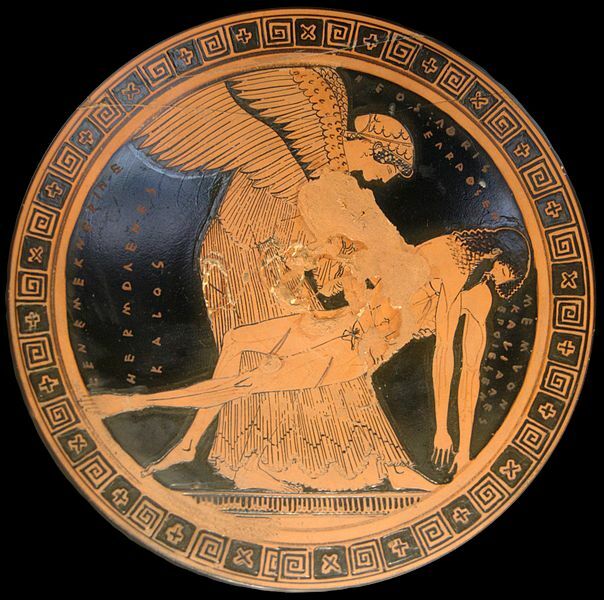 But, fallacy or not, they speak to the intentions and romantic ideals of the pottery discipline. This romantic fantasy of the communal table is a cultural touchstone for more than the pottery community. Western culture, indeed, many cultures, hold a romantic ideal of the family table. This ideal is pervasive in literature, art, and all forms of commerciality: entertainment, advertising, etc. Judy Chicago referenced the dinner party in her work The Dinner Party, as a connection to traditionally feminine craft as well as consumption. 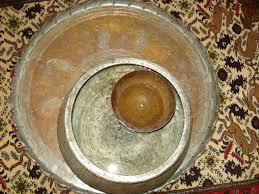 The main device of my installation will be modeled after ancient water clocks, which told time with vessels and water. 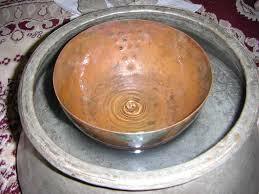 Vessel forms will be placed in a pool of water, into which they will slowly sink as they fill. This is a representation of accumulation—the accumulation of time, of labor, of words and meaning, and of memory. This project is a gallery installation. I want to use the Dorsky Museum to provide a foil for relational objects by placing them in a constructed setting that mimics the artifice of some social interactions. There will be two tables. On table will be set, the surface crowded with functional forms, part elaborately set tea party, part hoarder’s table overrun with a proliferation of forms. The structures of the objects themselves will mimic the layering of the forms and surfaces. The groupings and forms will suggest the breakdown, entropy of human interaction, and at the same time, the wild profusion and fertility of connection, the miracle of the persistent romance to the contrary that makes any communication at all possible. The second table will actually be a table-like pool of water, in which the forms from the first table will be floated, until they finally sink to the bottom, accumulating masses and layers of forms that will sit below the surface of the water. Some vessels will not sink and will remain floating. 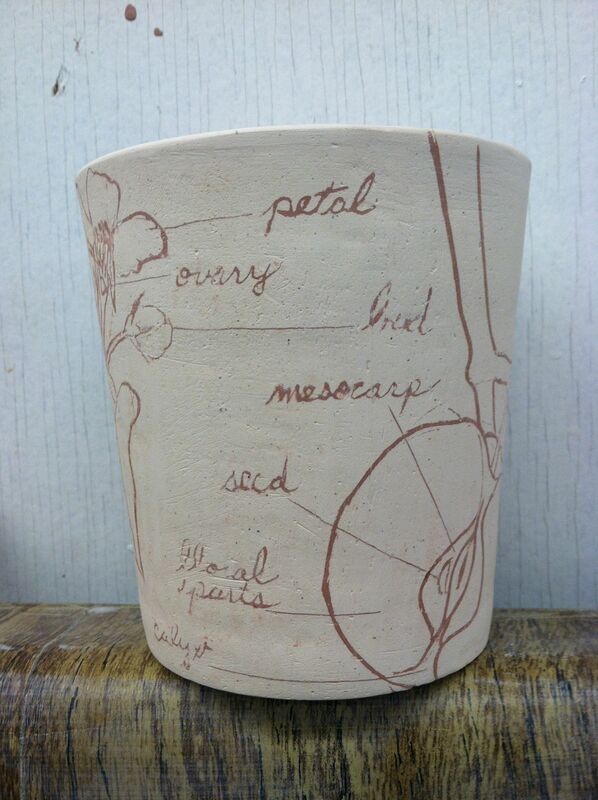 Surface decoration of the vessels will include written texts. 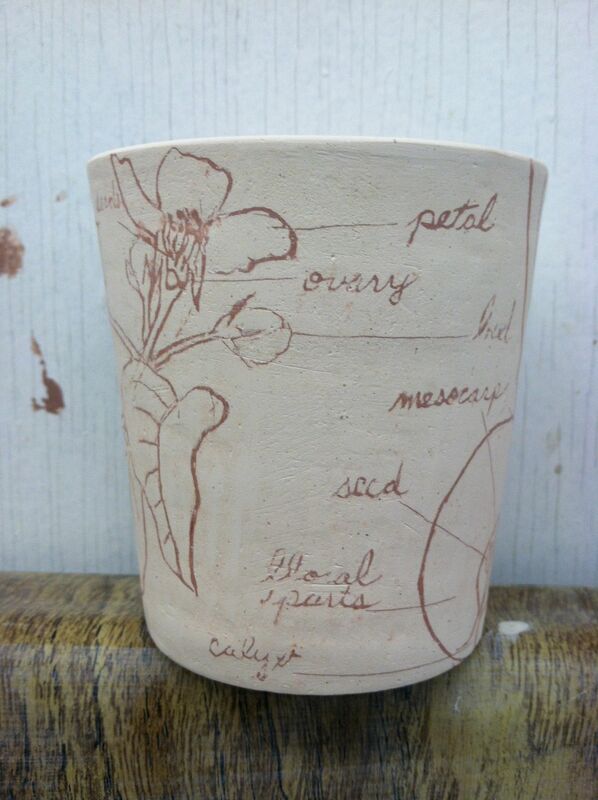 Using coats of glaze, I create layers of writing, spaces, faded words, and patterns. I want the texts to have layers, both literally and figuratively, to be discovered over time, imagined in some places, where the meaning has been lost or distorted beyond recognition. Functional objects offer ideal circumstances for the discovery of these layers and secrets. All art can be known and discovered over time, but functional objects, however fantastically decorative, are mundane; they are just as insidious as the written word in that they are both highly charged and commonplace. 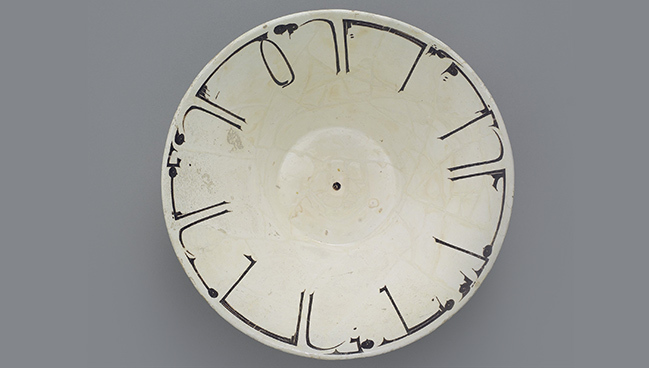 Pottery represents communal, empathic, relational objects. Their pervasive, pedestrian nature allows them to be as accessible as the written word in our modern world. These thermal tiles, designed for space travel, can be touched by bare hands at 2200 degrees Fahrenheit! 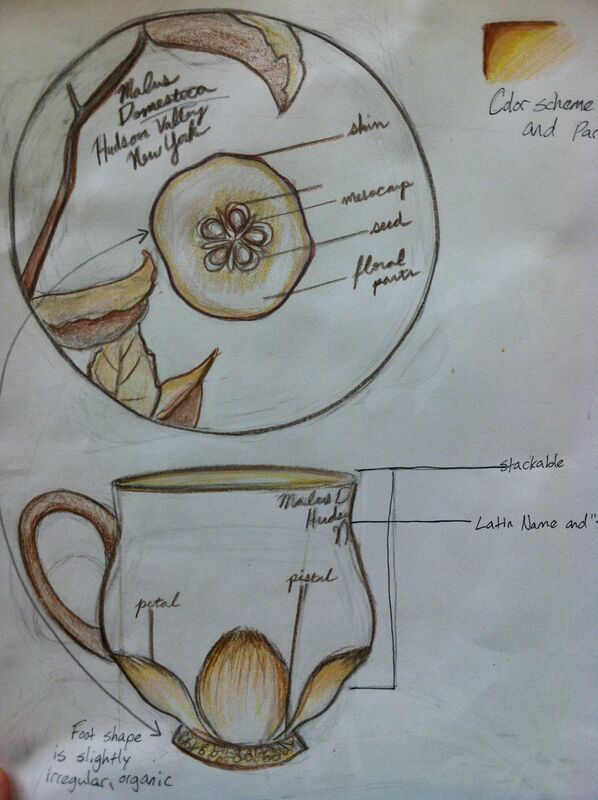 In our Design and Production class, we are working with a local restaurant to design tableware, barware, and accessories. a tavola is a really interesting little restaurant, with a rustic Italian menu, expertly mixed old-fashioned drinks, a local farm to table philosophy, and a casual but intimate atmosphere. Excited by a tumbler that I picked up at The Clay Studio in Philadelphia this summer (I’ve been meaning to post about that cup–I’ve fallen in love with it), I chose to design barware. I really wanted to translate traditional glass barware into ceramic form. In my once and future life, I worked as a wine buyer at a beer, wine, and liquor store. I also tended bar on and off for years. Because of this, I am very familiar with the intricacies and rituals of wine, beer, and liquor tasting. In my opinion, there is no reason to exclude ceramic as a viable material from which to enjoy wine and spirits. There are considerations, sure. The rim should be thin or smoothly contoured or both. The color of the glaze on the inside of the cup, while it doesn’t have to be white, should be luminous, bright enough to reflect light back through a liquid, illuminating the color of the wine or spirit. I drink wine from a cup that Rebecca made all the time. I am constantly admiring the way the celadon interior glows through the wine. 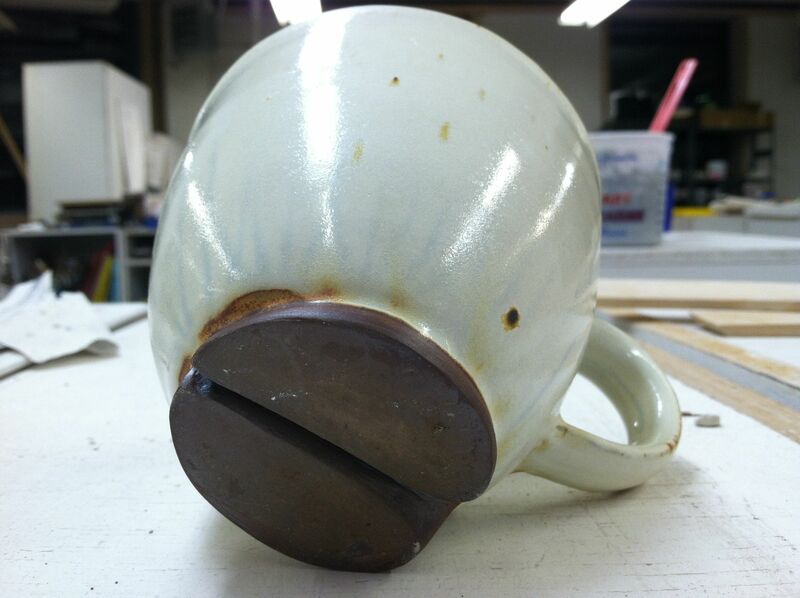 The weight of the cup should be balanced. It can be weighty but it must be satisfying to hold, not difficult or precariously balanced. Sadly, from our initial interview, I could tell that the client really wanted mugs. 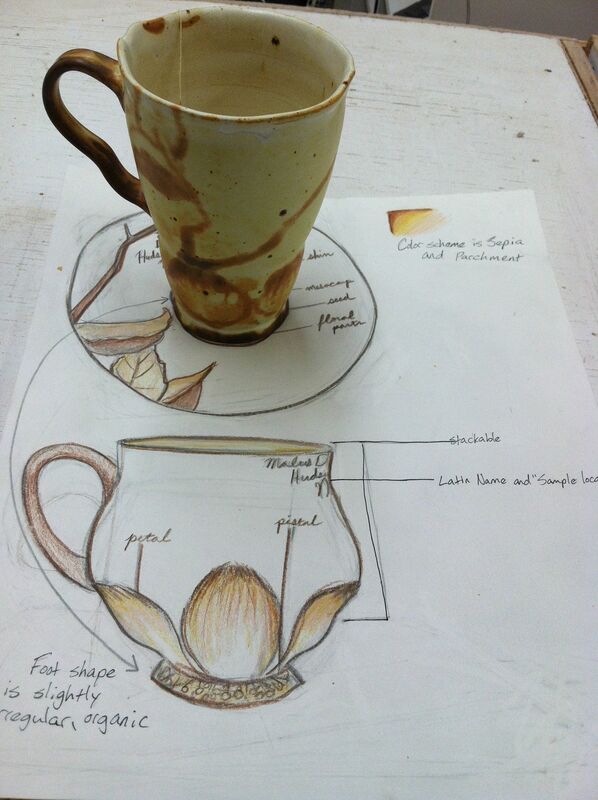 That may or may not be because pottery and mugs are synonymous sometimes. We have been designing, ideating, and refining for weeks now. Our second visit with Nathan and Derek (the owner/chef and bar manager respectively) was this past Friday. We showed them some tangible, material examples of our more fully realized designs and asked for their feedback. I stupidly chose to pursue more than one design, making my life a little harder. But I am stubbornly holding onto the idea of classic cocktail glasses in ceramic form, so I am going to continue making the tumblers below, despite the fact that Derek and Nathan want mugs, in case they see some merit in them when I am finished. I’m making mugs too. Cups are my favorite form, after all. 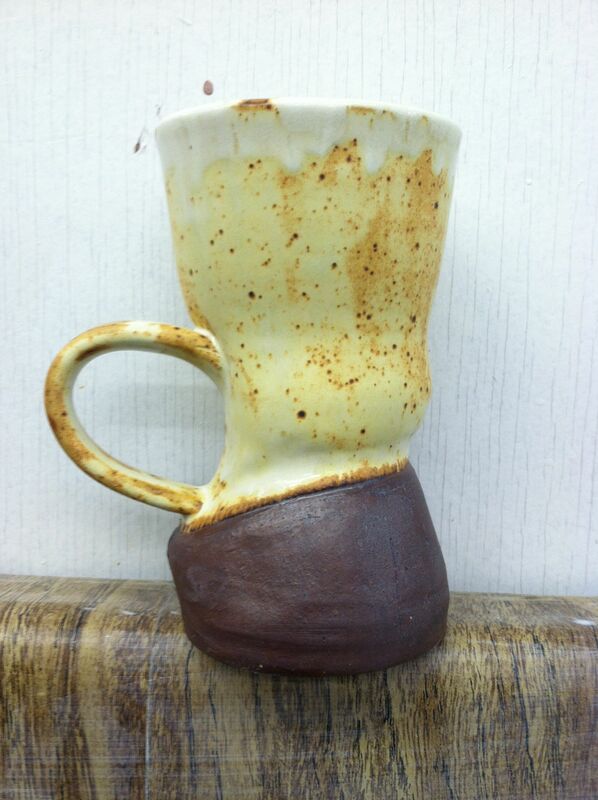 The first picture is my very first design, a mug that is shaped like a hoof. 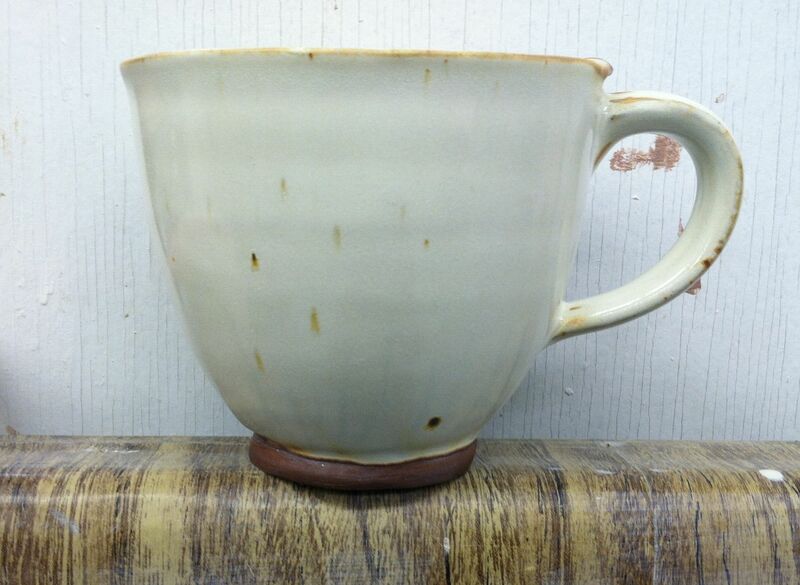 The second version of that design morphed into a very traditional teacup that has a hoof-shaped foot, which fits into a hoof-shaped imprint in the saucer. 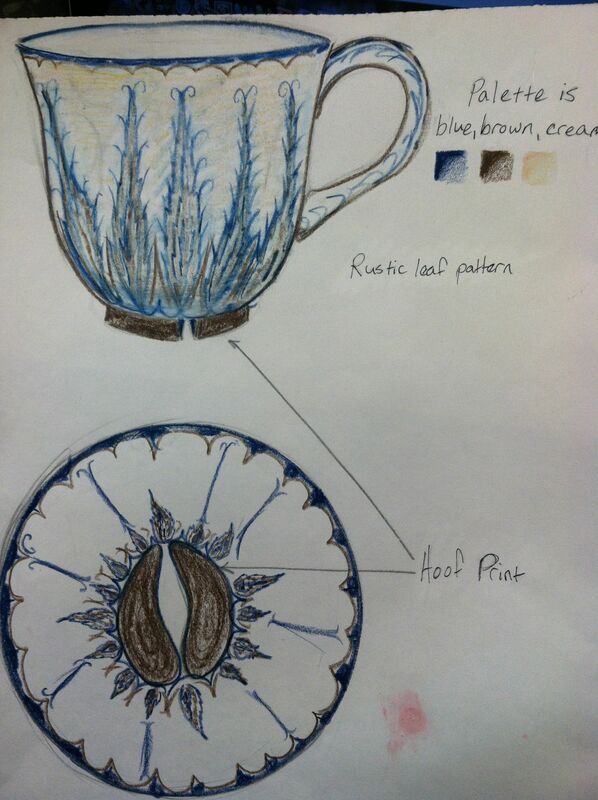 The original sketch has an ornate blue and brown pattern. I have to work on a different, more subtle pattern but I will still use blues and browns. The tumbler is in bisque form but I am very happy with the mishima (slip-inlay) technique so far. It’s not practical for production but I think that I just wanted to do it to prove that I still can. 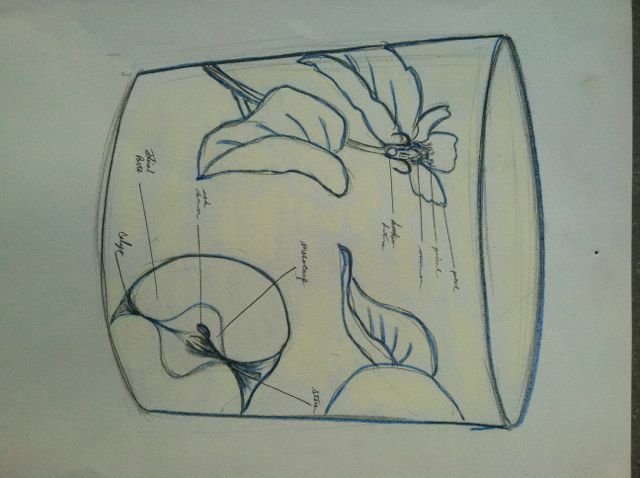 The last design is another cup and saucer set, this one with botanical and biological diagrams. Both saucers are currently cooling in a kiln.